Your car won’t start. What now? It might seem like your battery is dead, but if the lights and electrical systems are still running, your battery might just need a jump start. 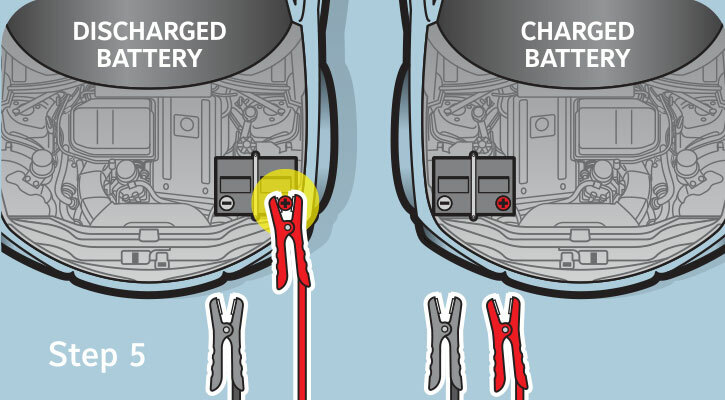 Follow these steps to give your battery a boost and get back on the road. Learn the simple steps to jump starting your vehicle battery. Read and follow the Safety and Handling Information on this website and with the jumper cables. 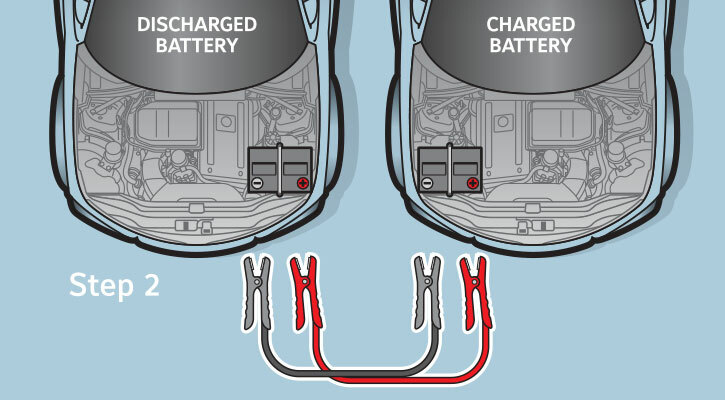 You'll need a set of jumper cables and another vehicle with a charged battery. You can find cables in auto parts stores, at gas stations or just about anywhere you buy car parts. STEP 2: Park the car that needs to be jump-started next to a car with a good battery. 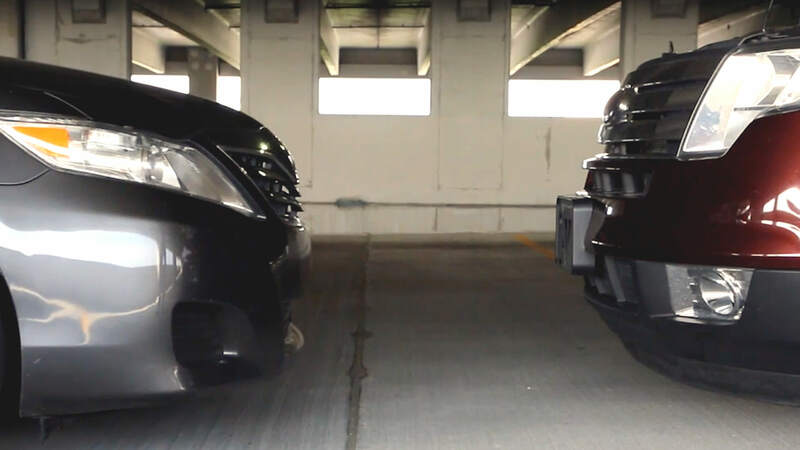 Park the car with the good battery next to the car with the dead battery. 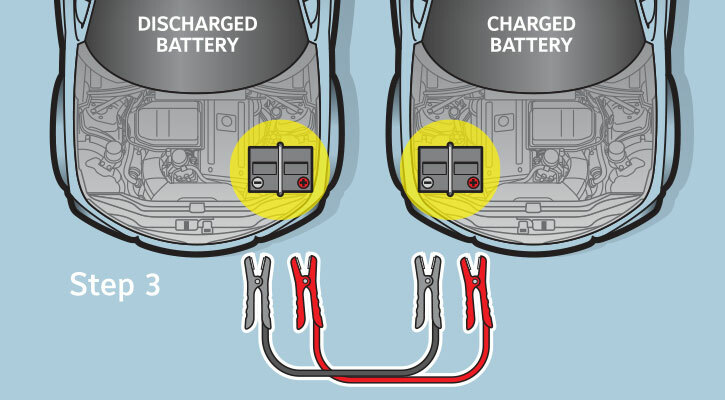 Pull the car close enough so that the cables will easily reach from the battery of one car to the battery of the other. Shut off both engines and prop open the hoods or trunks, depending on where the batteries are located within the vehicles. Find the batteries and their terminals. Each battery has two metal terminals. One is marked positive (+), the other negative (-). There are also positive and negative cables in the jumper cable set. The red one is positive (+), the black one is negative (-). 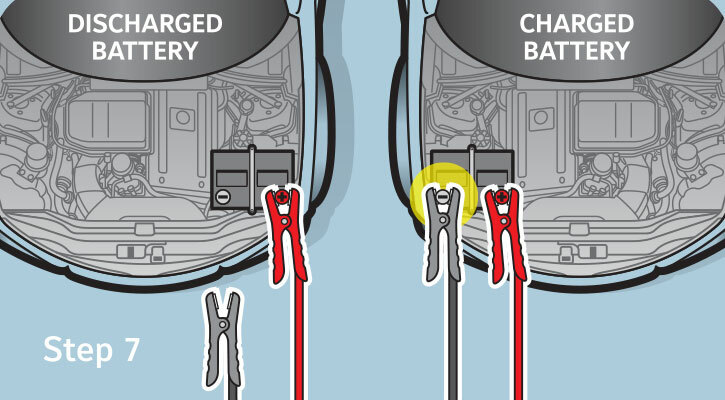 Never connect the red cable to the negative battery terminal or a vehicle with a dead battery. 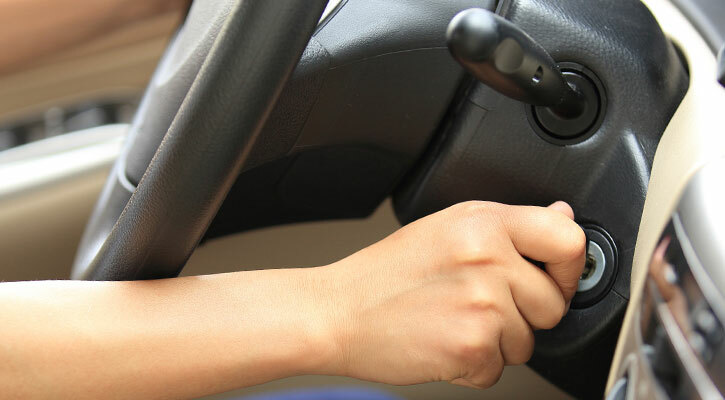 Identify a metal ground within the vehicle with the dead battery. You can use the metal frame of the vehicle. 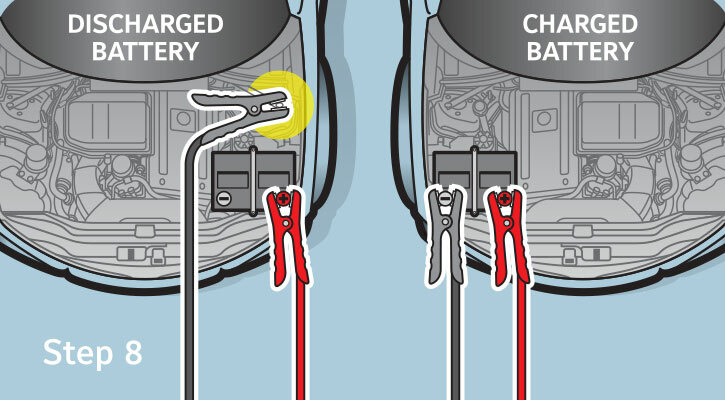 Connect a positive cable clamp to the positive (+) terminal of the dead battery. 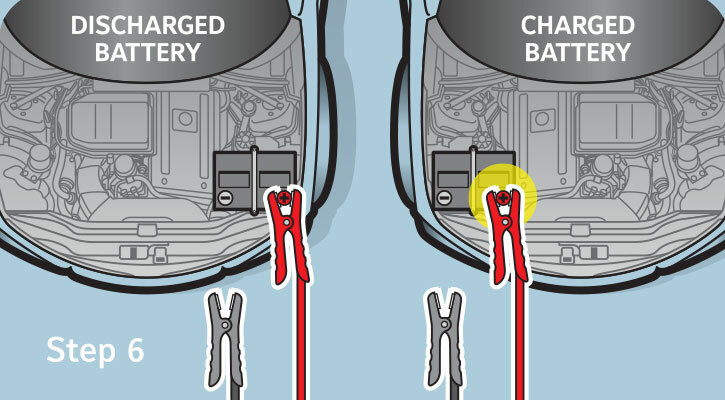 Connect the other positive cable clamp to the positive (+) terminal of the charged battery. Connect a negative cable clamp to the negative (-) terminal of the charged battery. 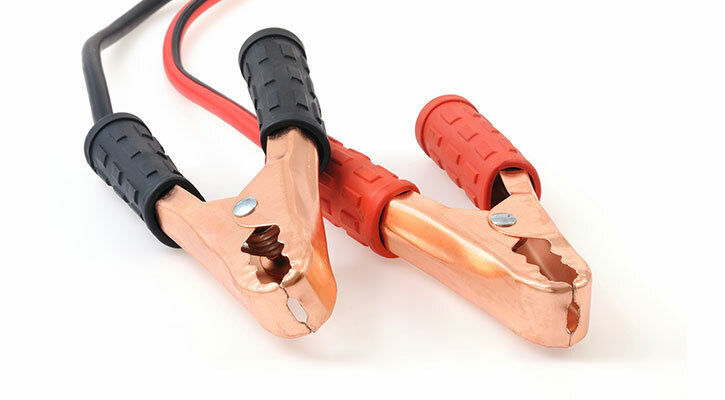 Connect the other negative clamp to the metal ground of the vehicle with the dead battery. You can use the engine block or another metal surface of the vehicle away from the battery. This is the last connection you need to make. Start the car with the charged battery. Wait one or two minutes and try to start the car with the dead battery. Remove the black negative clamp from the ground of the vehicle needing the jump. Remove the black negative clamp from the assisting vehicle. Remove the red positive clamp from the assisting car. Remove the red positive clamp from the formerly stalled vehicle. Wait a few moments and repeat Step 9. We recommend fully charging your battery at the first opportunity after its being jump-started.